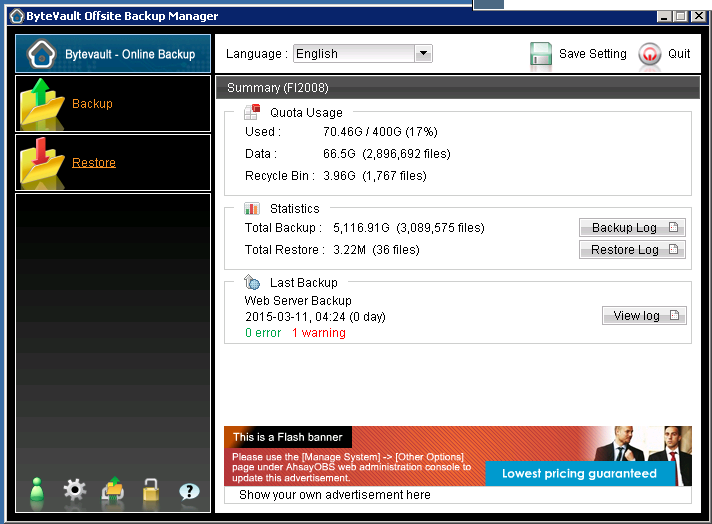 To manage your backup using the Bytevault OBM in Windows, follow the simple steps below. Go to start menu and launch Bytevault OBM. 1. 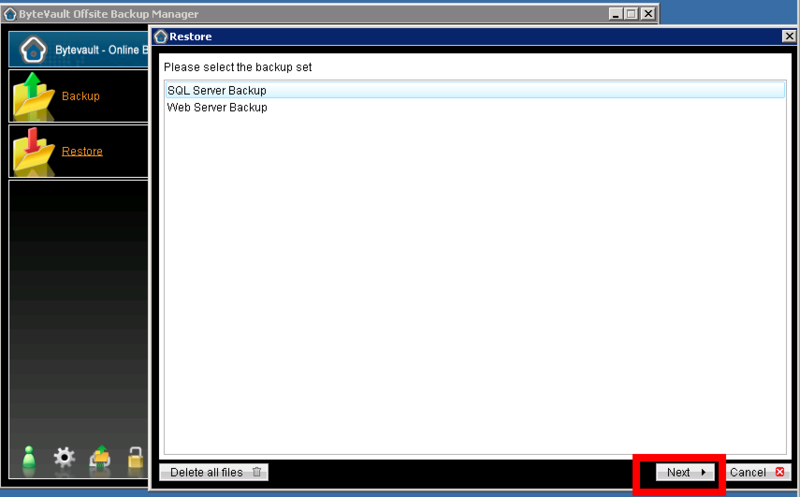 To get backup select the 'Backup' tab. Now you should see the following. 1. Select the 'Restore' tab and you should see the following screen. 2. 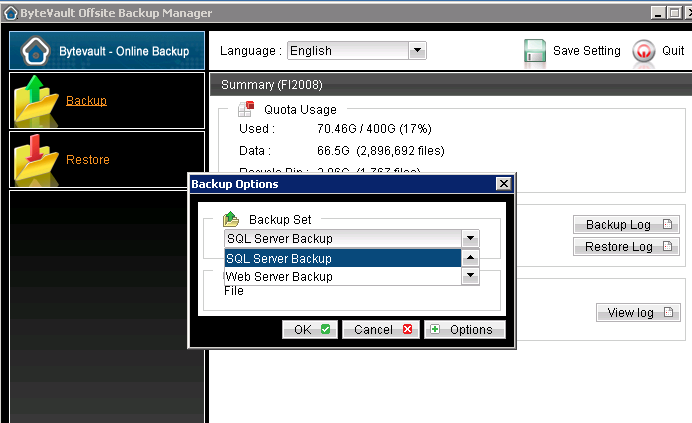 Choose the required backup set and click Next. 4. Choose the required date and the required backup. 5. Select a restore destination. Make sure to also select "Restore permissions". 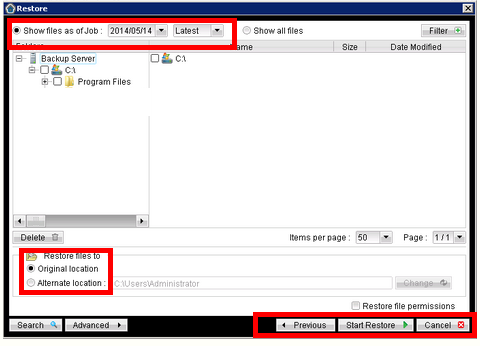 'Alternate Location' restore files to the custom location that you specify. 6. Press "Start Restore" to begin the process.